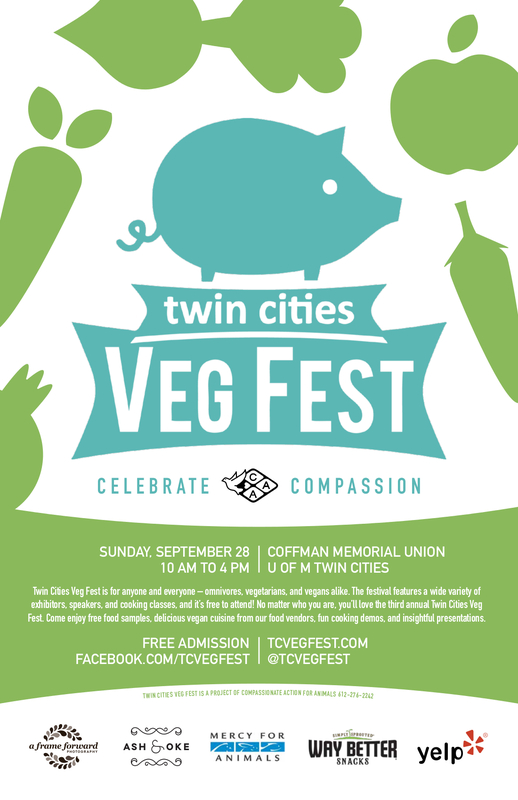 Come put up posters around the Twin Cities for the upcoming Twin Cities Veg Fest! We will meet around 1pm at the CAA Community Office and disperse for the afternoon to put up posters, as well as leave some stacks of flyers in shops. Free lunch will be provided before we go out! 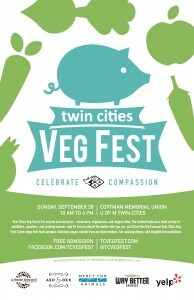 Please RSVP on Facebook or leave a note with raven@exploreveg.org if you plan to attend!